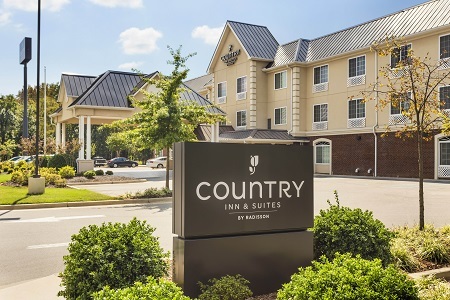 Located right off I-565, the Country Inn & Suites® by Radisson, Madison, AL is the perfect home base for business or pleasure. Must-see Huntsville attractions like the U.S. Space & Rocket Center can be reached within 15 minutes. 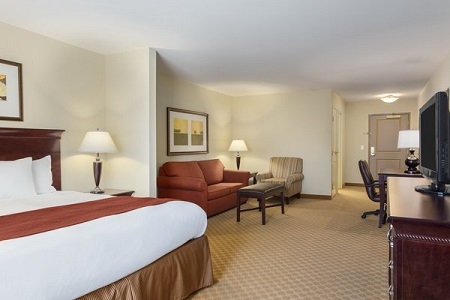 Business travelers will appreciate the hotel’s ideal location, just two miles from Huntsville International Airport (HSV). 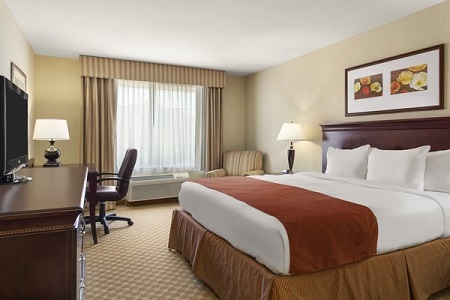 Amenities like a complimentary, hot breakfast and free high-speed Internet access ensure the convenience continues at the hotel. 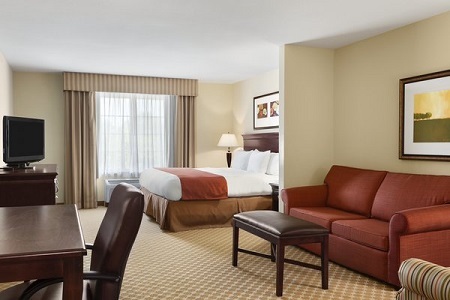 After a day of work or play, take a dip in the indoor pool or sneak in a workout at the on-site fitness center before retiring to your spacious room or suite. The hotel’s free, hot breakfast provides you with the fuel you need for your day out. Load up on a daily feast of classic breakfast favorites like bagels, cereals, waffles and a daily rotating hot option. Later on, enjoy a hearty meal at nearby family-friendly dining establishments like Cracker Barrel or Ruby Tuesday. U.S. Space & Rocket Center – The wonders of the galaxy are just a 10-minute drive from the hotel. Strap into one of several simulators and experience the thrill of lifting off into the heavens and the sheer force of 3-Gs. Huntsville Botanical Garden – Enjoy a breathtaking glimpse of plants and flowers culled from around the world at this sprawling venue, an 11-minute drive away. You can also stroll along a birding trail and check out a butterfly exhibit. Huntsville Museum of Art – You’re just 15 minutes from more than 3,000 pieces of artwork, permanently on display within this venue’s 13 galleries. The museum also welcomes rotating exhibits throughout the year. Our hotel’s 750-square-foot meeting space means business with essential audiovisual equipment, free high-speed Internet access and room to comfortably seat up to 40 guests. Our friendly staff can also provide recommendations you might need.